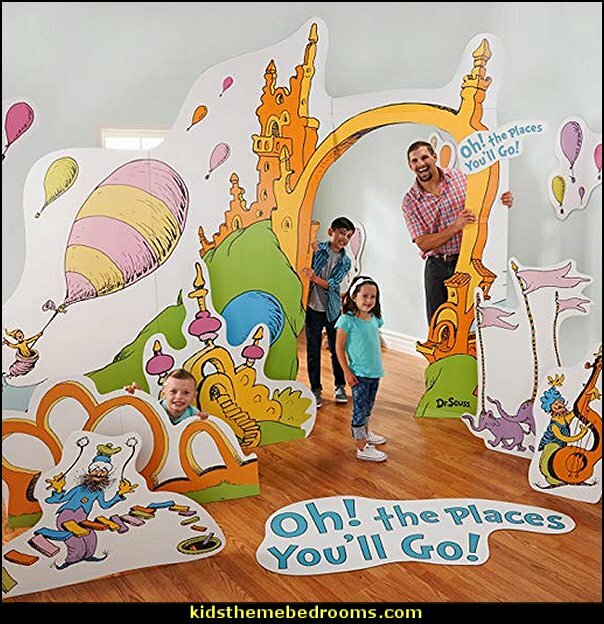 Oh the places your party will go! 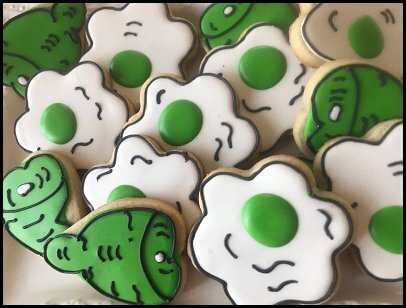 Food & Drink Ideas - Spice up your typical deviled eggs with some green food dye and serve alongside some roast ham to get the classic green eggs and ham. 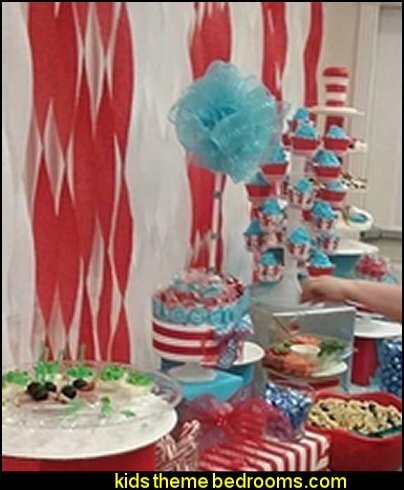 And what better way to serve your party?s green eggs and ham than on the Dr. Seuss Dinner Plates. 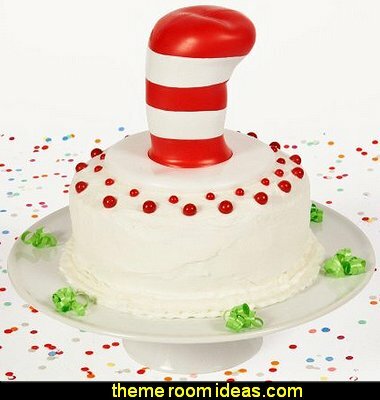 Celebrate Seuss-ness at your child’s birthday party with this must-have Dr. Seuss Cake Topper. 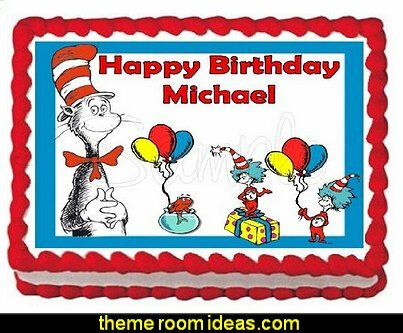 This cake topper adds that perfect touch to your Dr. Seuss themed birthday cake. From there to here, from here to there, funny things are everywhere, even on top of the birthday cake! Has a removable white base so it fits on a variety of cake sizes. 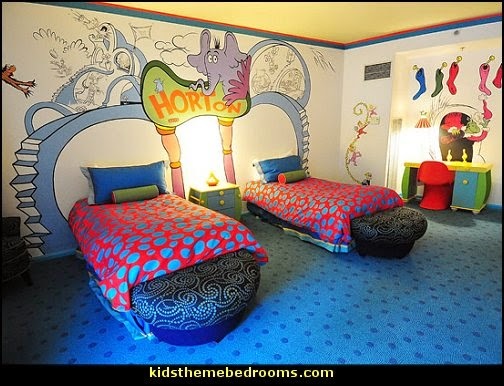 Well made & great colors. 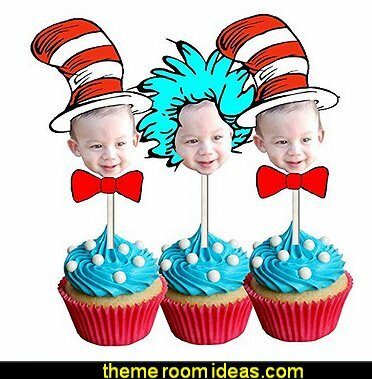 Cupcakes take on a Dr. Seuss look when you add a polka dot cupcake wrapper and a single colored candle. 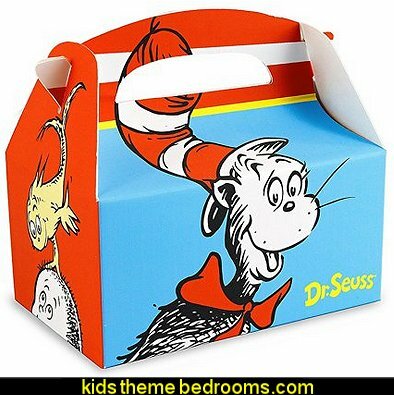 Popcorn, a yummy and healthy treat, is fun to eat when you serve it in filled paper cones made from rolled squares of Dr. Seuss wrapping paper. 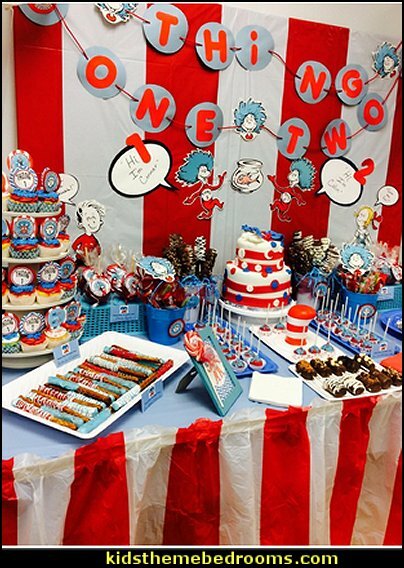 Great for a Dr Seuss themed birthday party or event! Very easy to use. 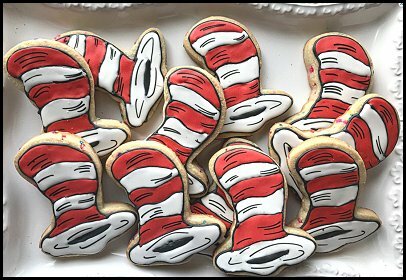 Peel the backing and lay the image on top of your frosted treat. (white frosting is recommended for best results) All images are FDA approved. 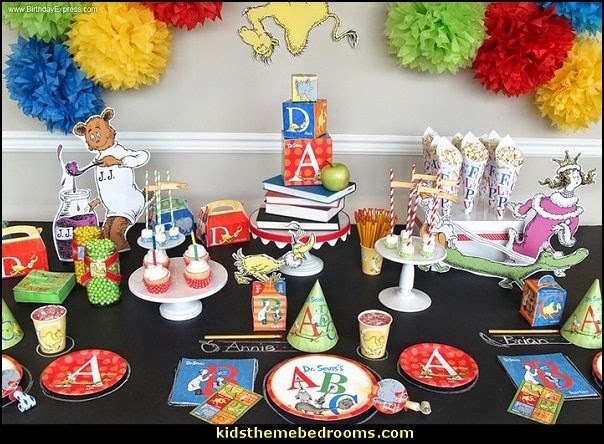 Party Activities - With just a black table cover and white paint markers, or sheets of black paper and chalk, you can turn your party table (or the whole party room) into a Dr. Seuss drawing zone! 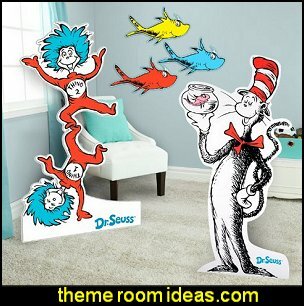 Let little ones add their name and favorite Dr. Seuss decal to their place setting, or decorate a wall. 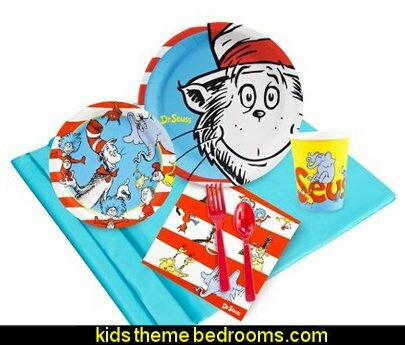 Dr. Seuss Party Pack for 24 includes: 24 Dr. Seuss Dinner Plates, 24 Dr. Seuss Dessert Plates, 24 Dr. Seuss Paper Cups, 60 Dr. Seuss Lunch Napkins, 24 Forks & Spoons, and 1 Plastic Tablecover. 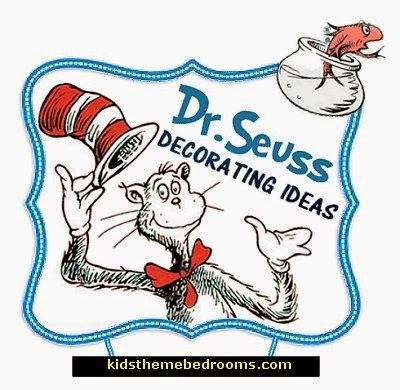 Party Decor - With the Dr. Seuss Balloon Bouquet and Dr. Seuss Wall Decal Set, your guests will walk in and be transported to Dr. Seuss' world of the Lorax and the Grinch. 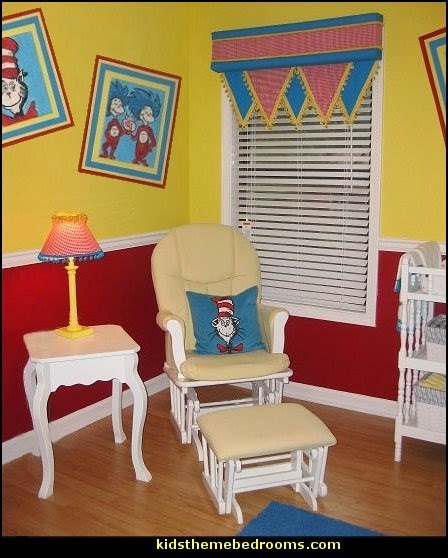 Start the party off right by giving each guest a Dr. Seuss Cone Hat and Dr. Seuss Blowout when they walk in the door. 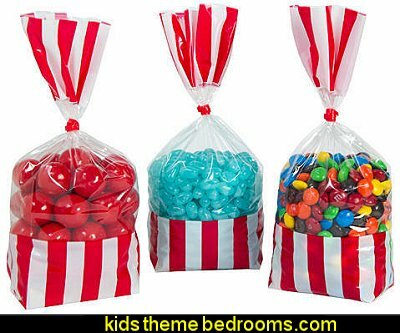 These Red Striped Party Bags are a fun way to send your guests home with a their favorite treats. 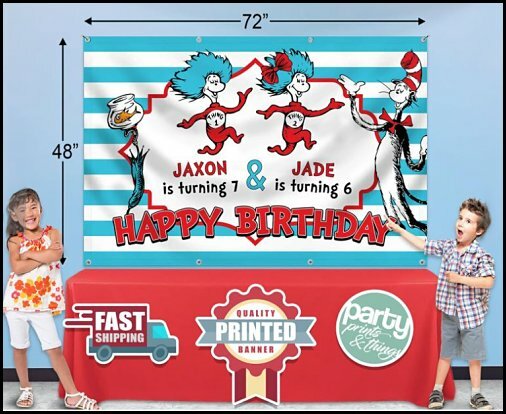 Make your child's big day 'pop' with excitement with this fabulous decorating combination! 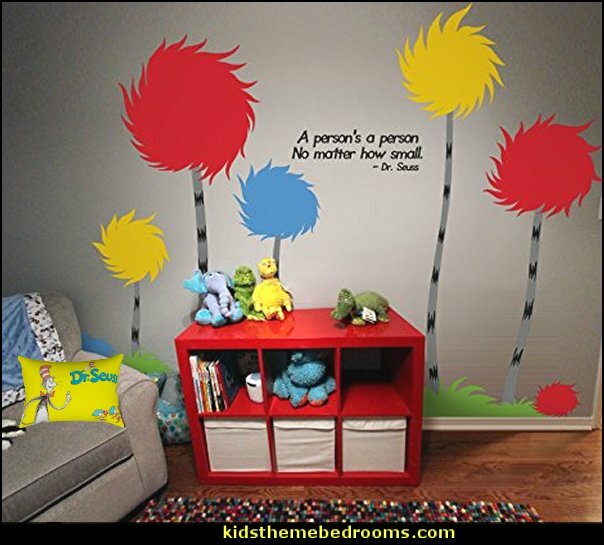 A huge Standup (perfect for pictures) and Giant Wall Decals that are made to move! 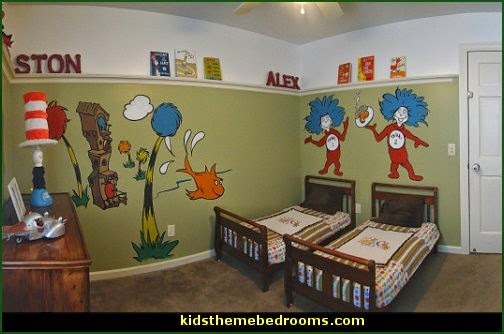 Just peel and stick the clings for the party room, then let your child redecorate their bedroom with no worries or mess! 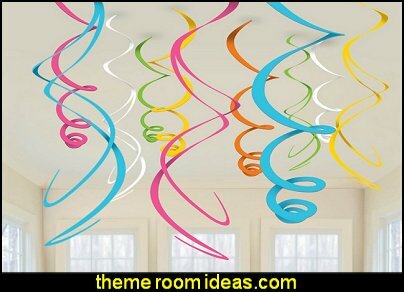 Perfect for photo opportunities, birthday decoration, or pretend play. 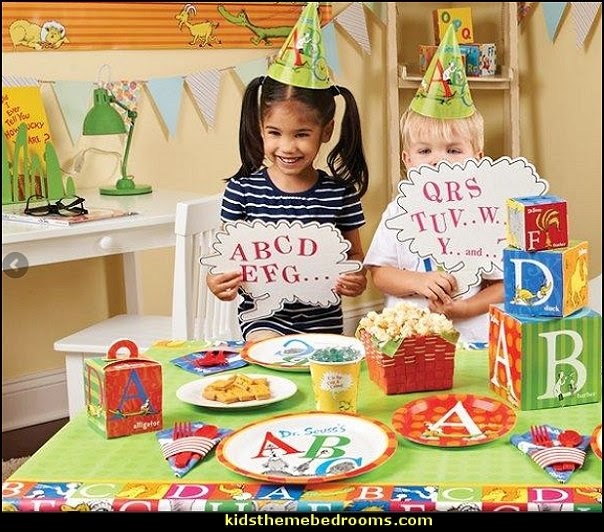 Perfect for your childs birthday, sleepover or theme party and back to school classroom décor! 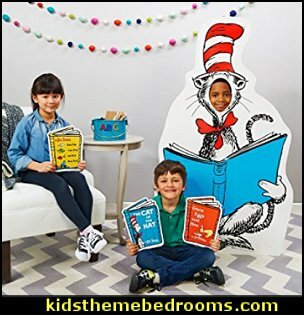 Includes favorite Seuss characters from books such as Horton Hears a Whoo, Green Eggs and Ham, Cat in the Hat, and Fox in Socks. 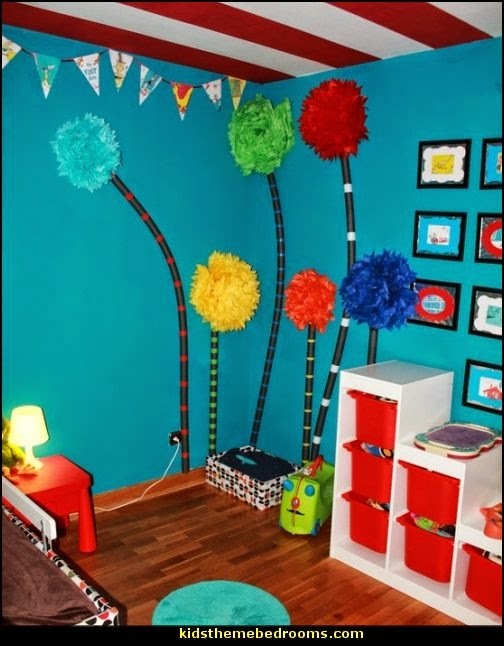 Create a soft, friendly, and festive atmosphere with these colorful puff balls! 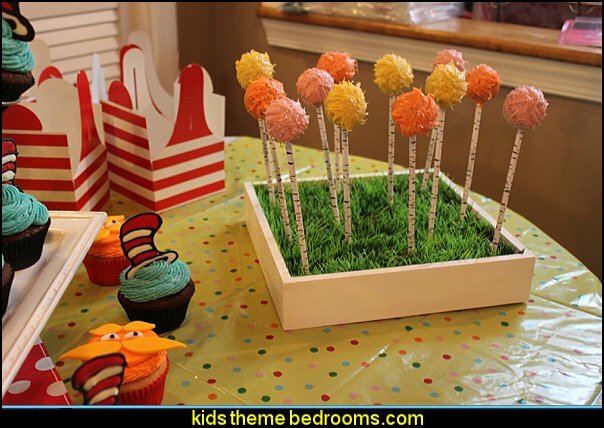 Glass jars of Sixlets candy, adorned with ribbon and Dr. Seuss ABC sticker sheets, make a pair of sweet centerpieces for this theme. 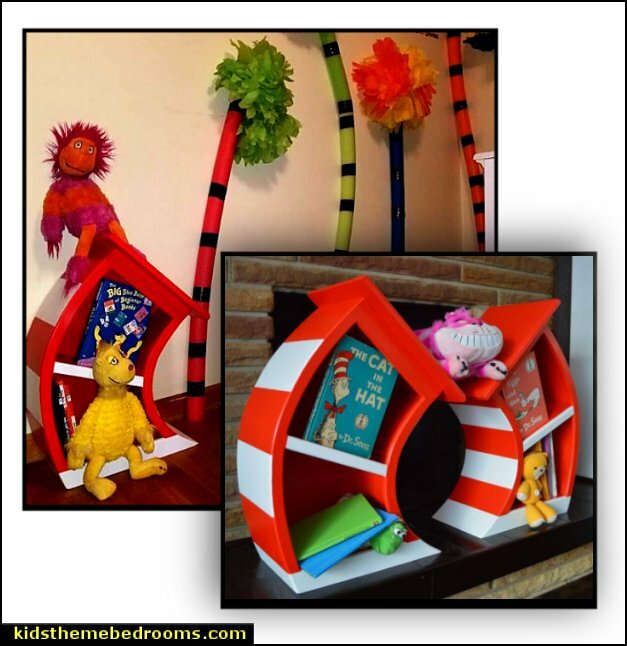 Another idea is to stack up some old books and pair them with Dr. Seuss gift boxes. 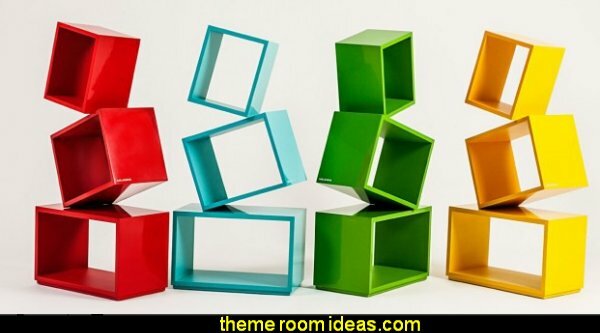 You can even fill these with candies or use them as party favor boxes for the guests to take home. 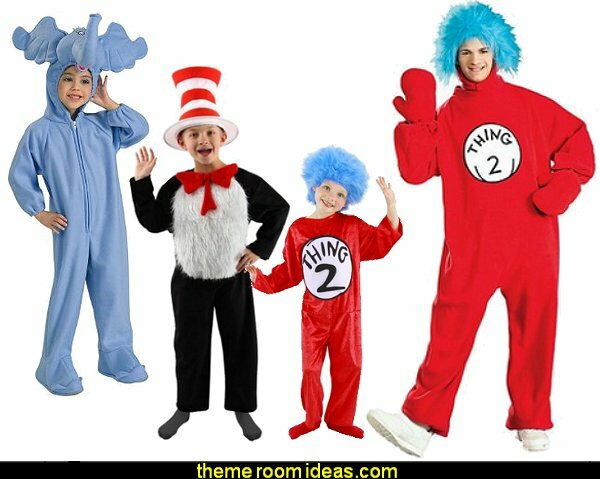 Mom and dad can also get in the spirit by dressing in Dr Seuss costumes. 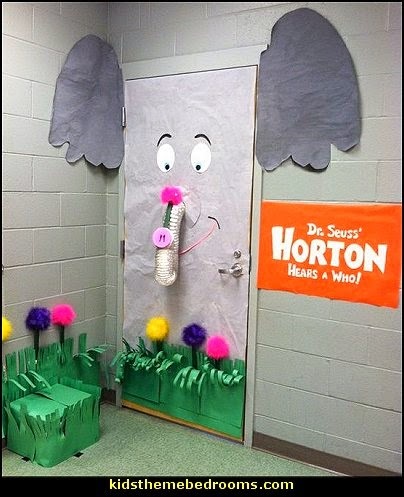 Everyone loves Dr. Seuss stories! 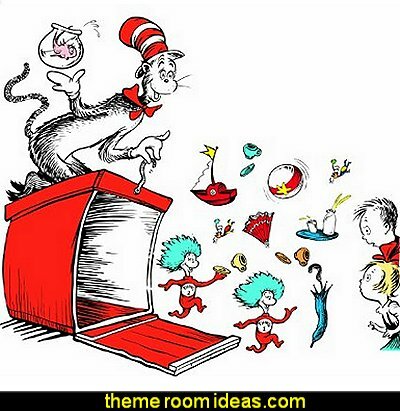 Dr. Seuss believed that books and learning to read should be fun and exciting for children. 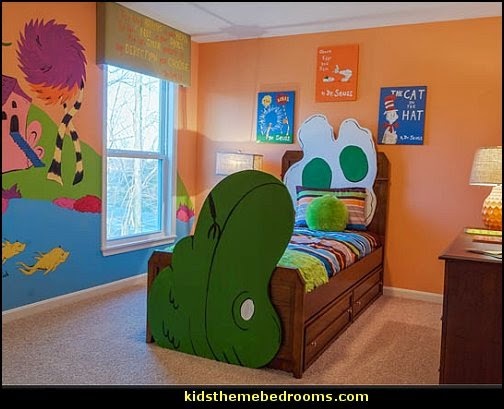 Whether you are a kid reaching for your favorite book, or an adult who hasn't completely allowed the craziness of adult life to squash your imagination, you will find amusement with this truly exceptional addition to your home! 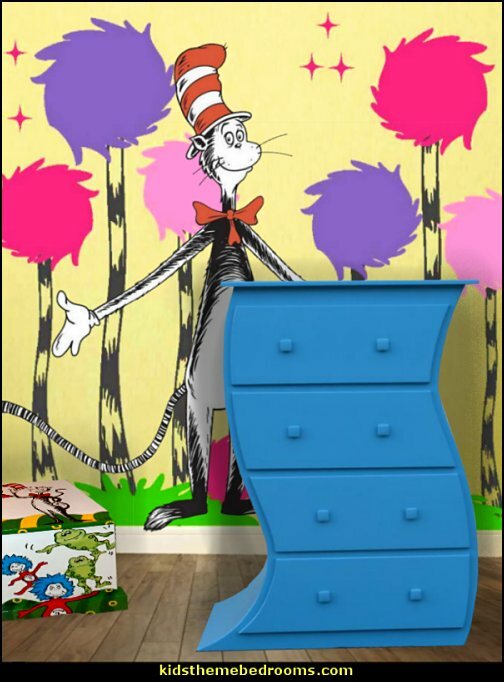 This OOAK dresser is sure to spark many conversations within your home, and guests will love to see how cool this dresser twists their imagination. But it isn't all for show...this Dresser is larger than most, and built to last for generations to come! 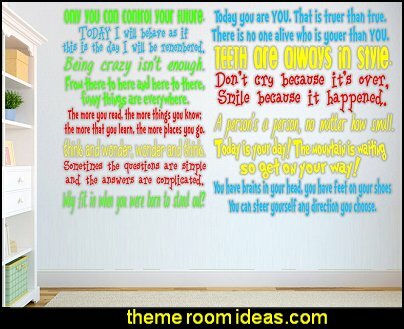 Have a ONE OF A KIND custom Toy box designed from your wallpaper border, or from a picture you like, or the theme of the room. 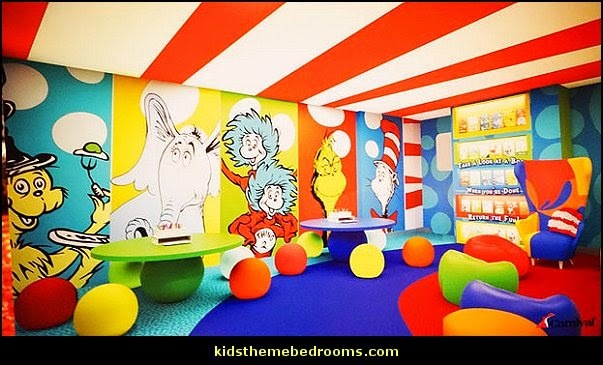 Children go crazy over them and adults cant get enough of their whimsical presence. Includes (1) themed standup, measures 6' 2" high and giant wall decals : 1 large Cat In The Hat with Thing 1 and Thing 2 (23.5" wide x 38" high), Grinch with Max, Cindy Lou Who, Sam I Am, Red, Yellow, Green and Blue Fish with corresponding names, and 1 "Dr. Seuss" logo. Also includes 3" yellow Squeegee. 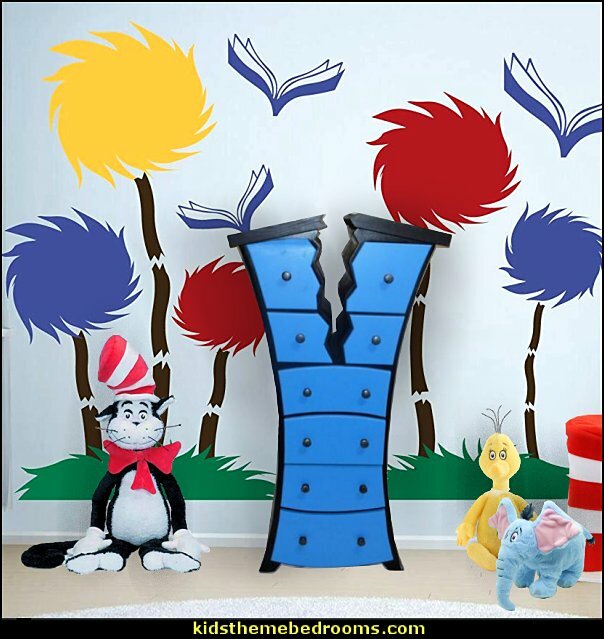 This item is officially licensed by Dr. Seuss Enterprises. 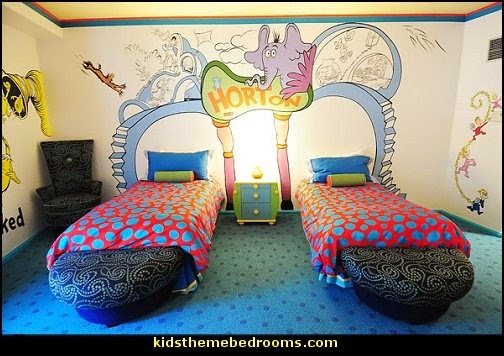 How fun would it be to halve the room from ceiling to floor in a crazy zig zag. 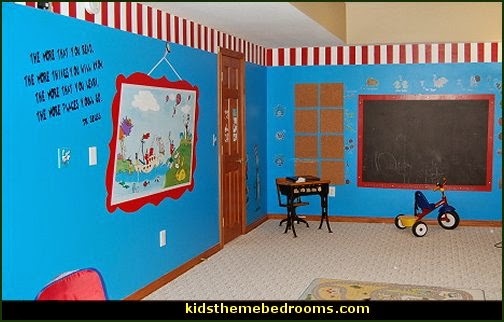 Cut the same pattern into the carpet, and replace that piece with matching color of the painted zig zag, few ideas here might help with inspiration for the walls. 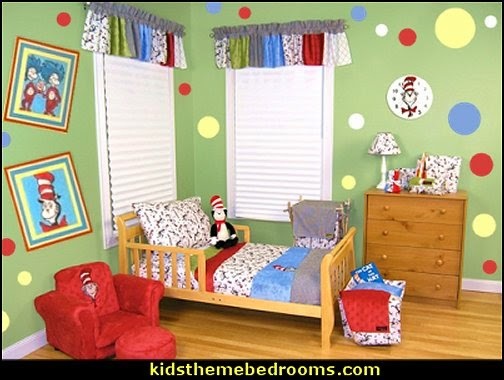 Which toddler isn't a fan of Dr. Seuss books The Cat in the Hat Toddler Bedding Set is one that your little one is sure to love A whimsical Cat in the Hat scatter print is combined with a diamond print percale and black and white gingham seersucker framing and then enhanced by a vibrant star-embossed soft velour. 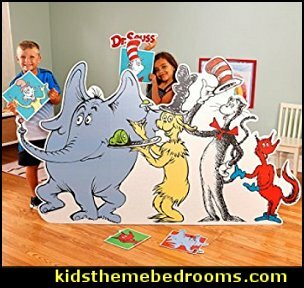 This bulletin board set comes with 15 decorative pieces, including 1 giant cat and box measuring 4 feet tall and 14 related die cuts. 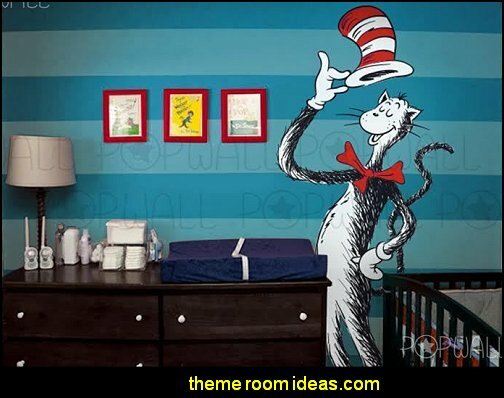 Dr. Seuss Cat in the Hat Wall Clock by Trend Lab. 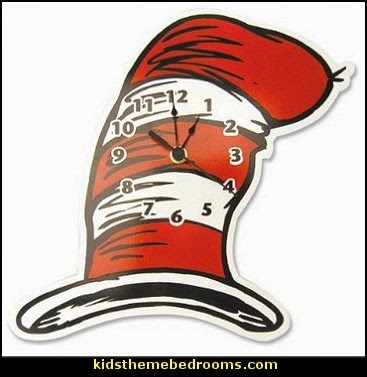 The famous red and white hat shaped clock features a white trim and black numbers. 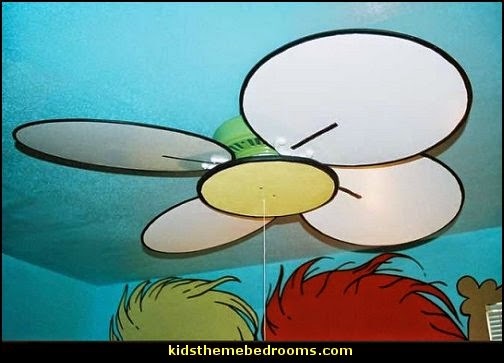 Mounting hardware is attached to the back for easy hanging. Runs on one AA battery (not included). 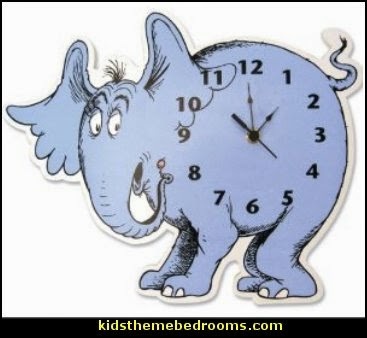 Clock measures approximately 11 in x 10 in. 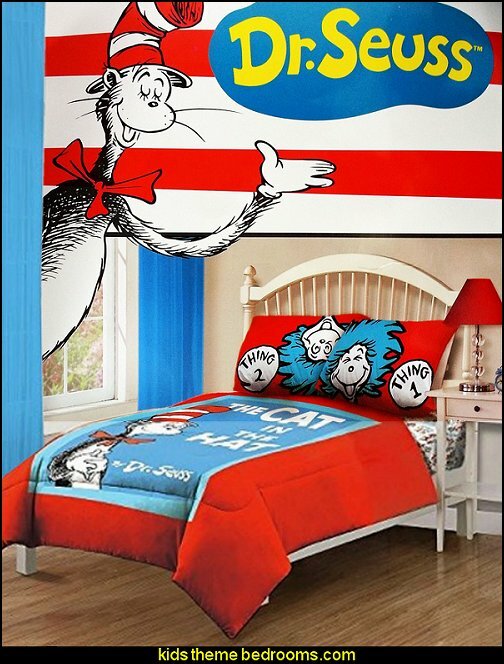 This clock coordinates with the Dr. Seuss Cat in the Hat collection by Trend Lab. 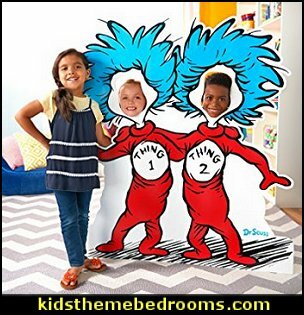 Display your little one's favorite books, toys, pictures or collectibles with this Dr. Seuss Thing 1 and Thing 2 Wall Shelf by Trend Lab. 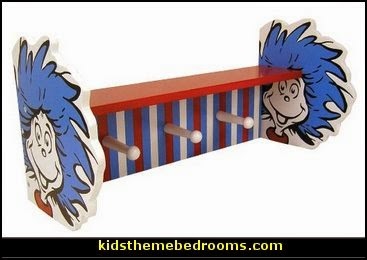 Wood shelf features a red, white and blue striped back with a red shelf and Thing 1 and Thing 2 on either end. 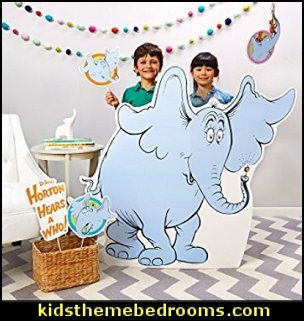 White peg hooks offer additional storage for clothes, coats, hats and more! 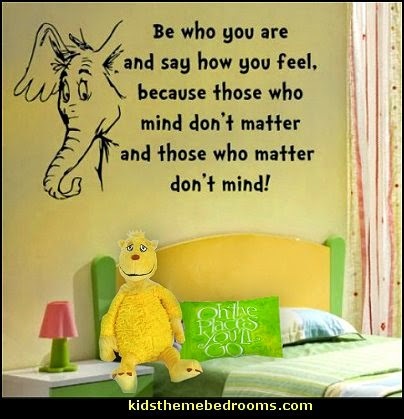 This is the perfect accent for your little one's room. 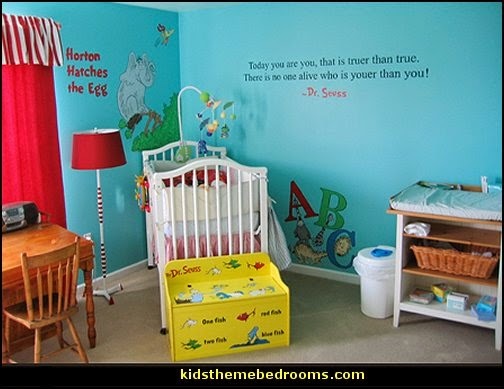 Decals are made of vinyl and are for use on smooth, flat surfaces. 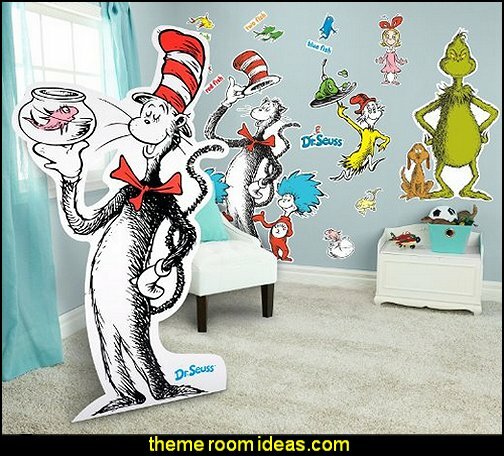 Includes 1 large Cat In The Hat with Thing 1 and Thing 2 (23.5" wide x 38" high), Grinch with Max, Cindy Lou Who, Sam I Am, Red, Yellow, Green and Blue Fish with corresponding names, and 1 "Dr. Seuss" logo. Includes 3" yellow Squeegee as well as full use and care instructions. 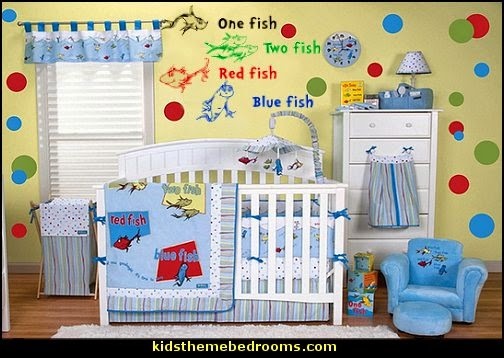 Dr. Seuss One fish two fish 6-Piece Crib Bedding Set by Trend Lab will add the perfect blend of modern design and nostalgia to your baby's nursery. 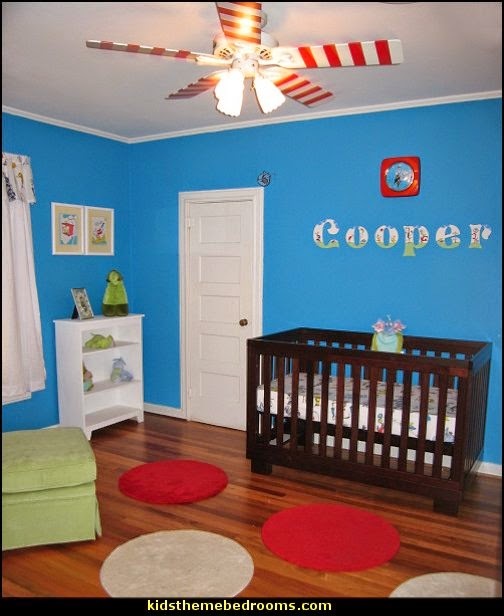 Modern palette of avocado green, barn red, sunshine yellow cornflower blue and powder blue make this set perfect for your baby boy or your baby girl. 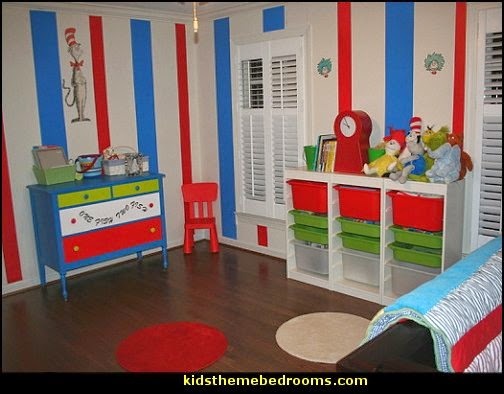 Produced under license from Dr. Seuss Enterprises, Trend Lab successfully combines the classic Dr. Seuss look with a stylish spin on the primary color scheme. 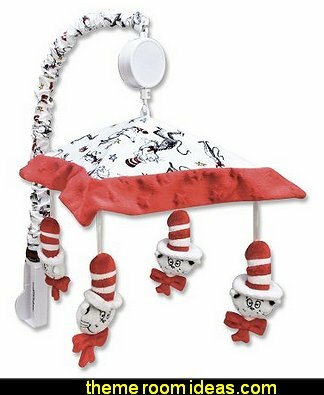 Mobile canopy features a whimsical Cat in the Hat scatter print framed by star embossed red velour. 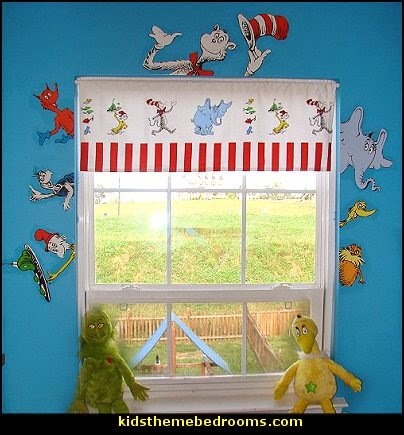 Four plush mischievous Cats are suspended from decorative ribbon and slowly rotate to Brahms' Lullaby. 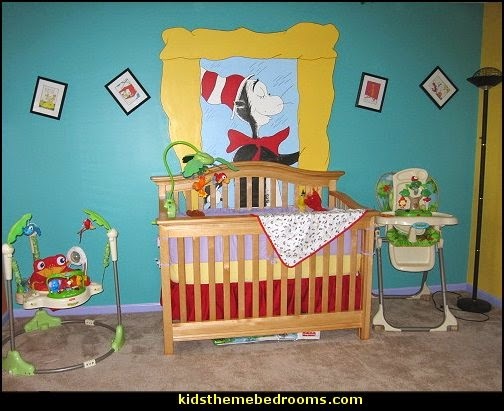 Mobile easily attaches to most cribs. Mobile measures 18" tall by 20" wide. 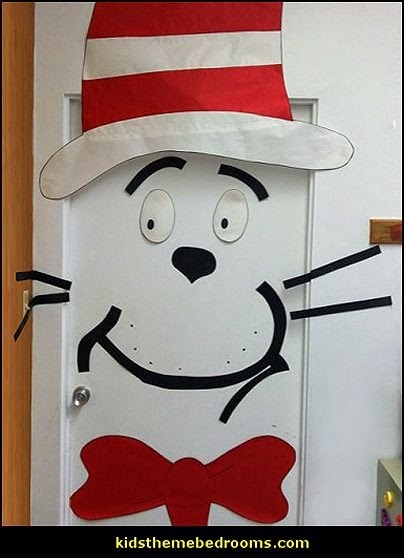 This mobile coordinates with the Dr. Seuss Cat in the Hat collection by Trend Lab. 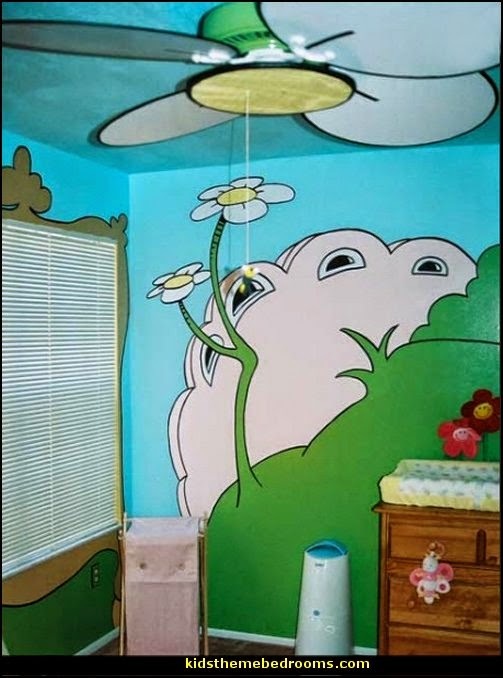 “From there to here, from here to there, funny things are everywhere” . 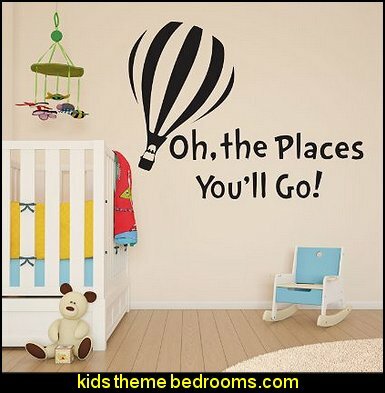 . .
Oh the places your little one will go. 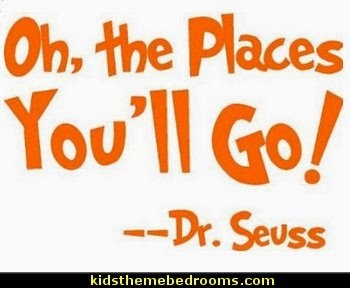 The inspirational Dr. Seuss book, Oh, the Places You’ll Go. 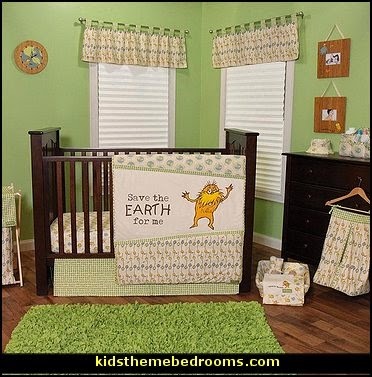 is beautifully brought to life with this Crib Bedding Set. Wonderful embroidery is set against a beautiful mix of prints including a charming dot, bold stripe and cute swirl. 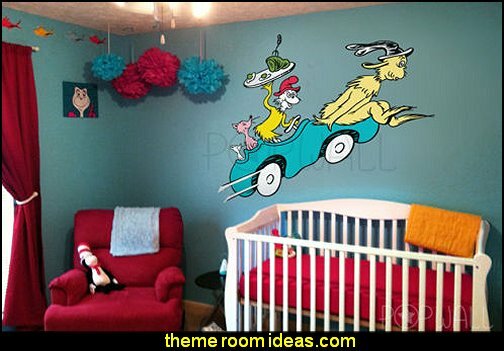 Combining Dr. Seuss’ charm with beautiful embroidery, multiple textures and wonderful patchwork, providing your baby with a stylish and nostalgic nursery everyone will enjoy. 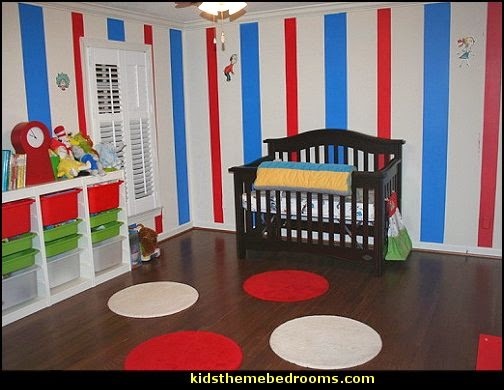 Set includes quilt, crib sheet and skirt. 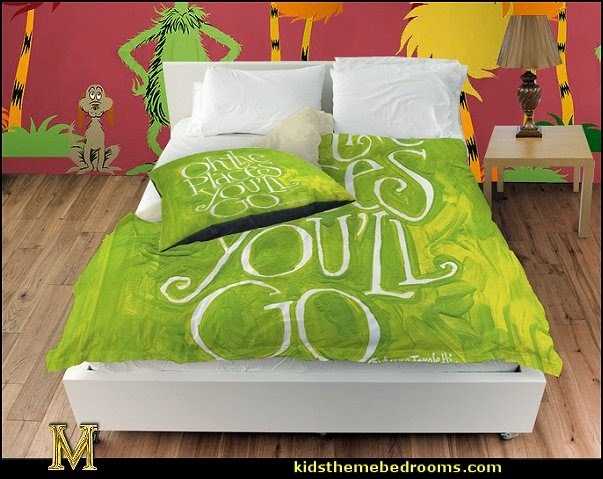 The quilt measures 35” x 45” and features a beautifully embroidered appliqué and the phrase Oh, the Places You’ll Go. which are set against patches of soft pink velour and printed cotton. 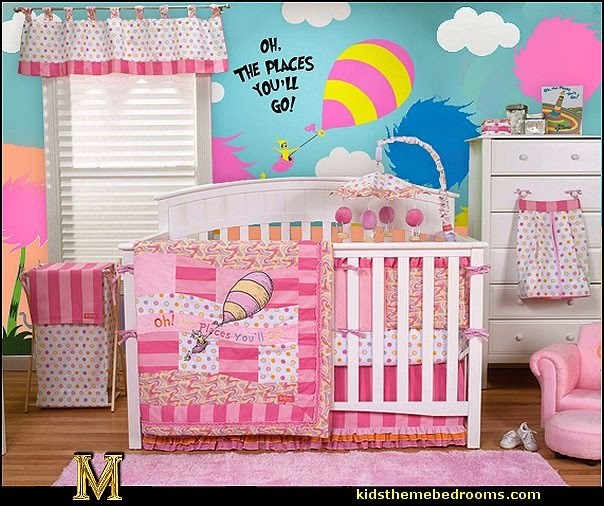 A charming dot, bold stripe and cute swirl print are featured in bubblegum, hot pink, lilac, apricot and soft yellow creating the perfect blend of color and style for your baby. 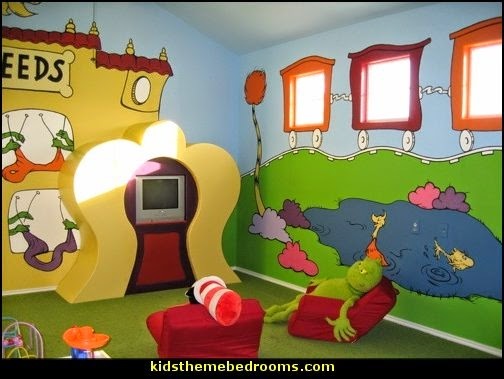 A hot pink ruffle trim adds the finishing touch. Reverse of quilt features the dot print. 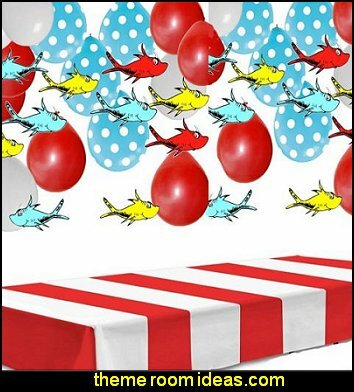 Crib sheet features a cute dot print in bubblegum, hot pink, lilac, apricot and soft yellow on a white background. 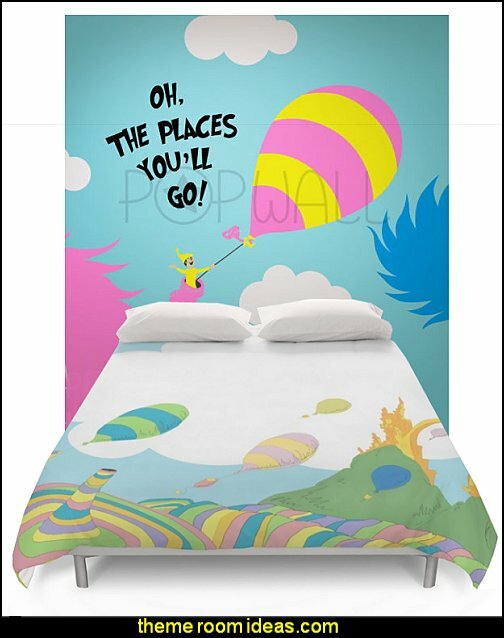 Sheet features 10 deep pockets and fits a standard 52 x 28 crib mattress. 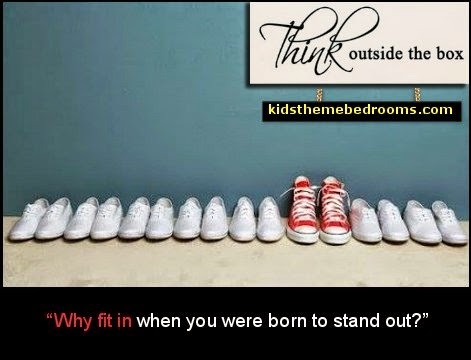 Elastic around the entire opening ensures a more secure fit. 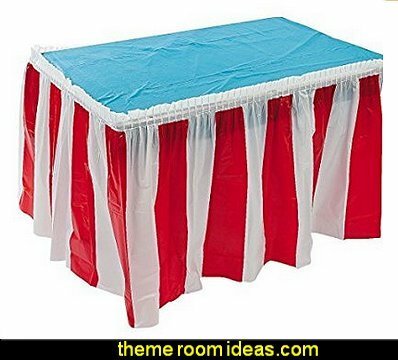 Box pleat skirt with 15“ drop features a bold tonal pink stripe complemented by bubblegum, apricot and hot pink ruffles across the bottom. 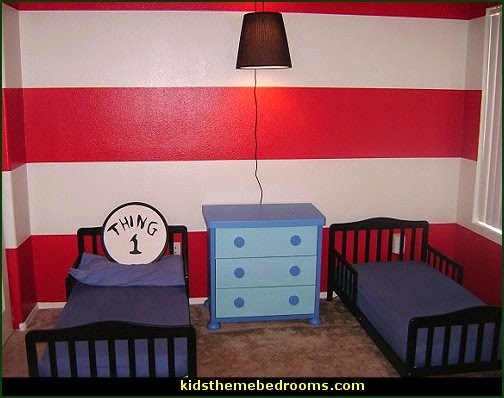 Matching Dr. Seuss Pink Oh, the Places You’ll Go. 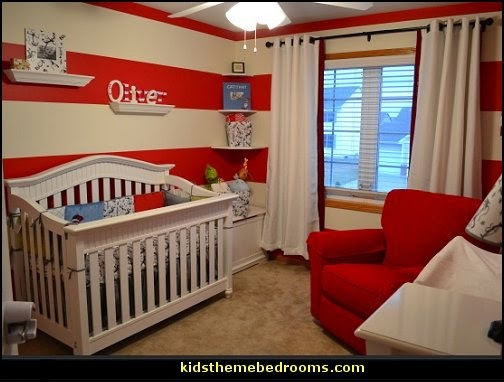 Crib Bumpers sold separately. 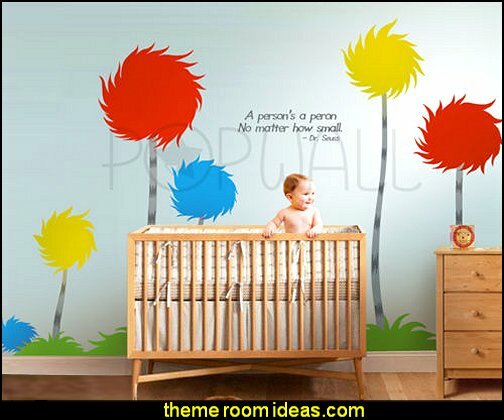 Complete your nursery with coordinating room accessories from the Dr. Seuss Pink Oh, the Places You’ll Go. collection by Trend Lab. 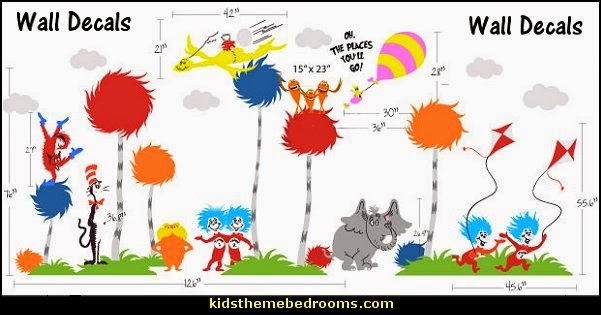 Product sold under license from Dr. Seuss Enterprises, L.P.
Dr. Seuss The Lorax 6-Piece Crib Bedding Set speaks to the trees and to your baby's nursery! 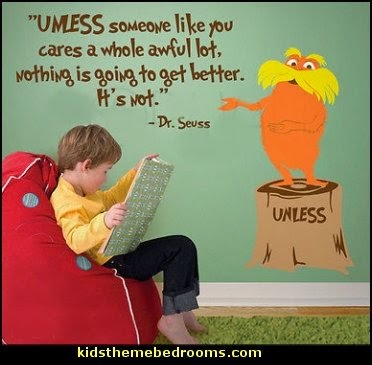 The Lorax Collection features a lovely mix of Earth inspired patterns that are printed on eco-friendly unbleached cotton using natural AZO-free dyes. 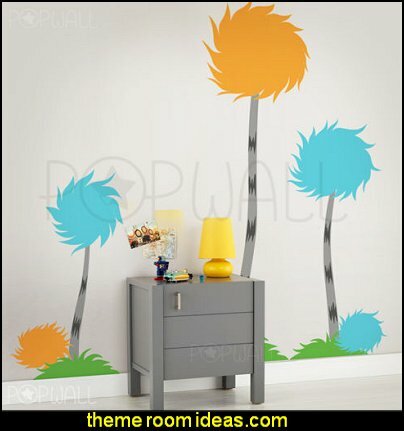 A charming Lorax and Truffula tuft scatter print, a 'save the Earth for me? print, an ?I speak for the trees? print and a green gingham print are featured in a delightfully earthy color palette of blue fog, sunshine yellow, avocado, honeydew, squash, brown sugar, pumpkin and chocolate. 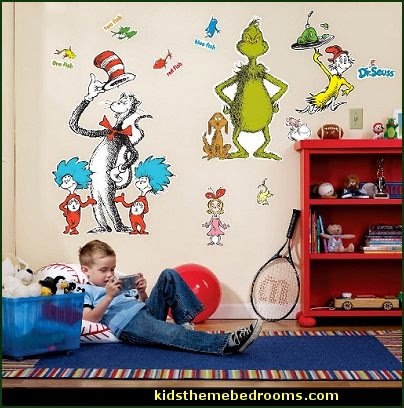 Promote growing up green with this adorably Earth conscious collection by Trend Lab! 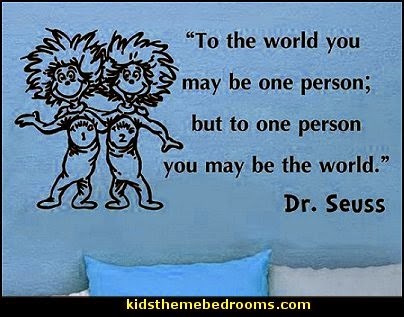 Who better than award winning Dr Seuss can sum up all of life's lessons? 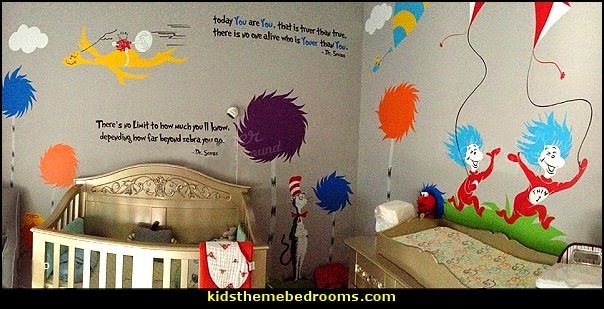 This decal features all the most awesomely inspirational quotes from Dr Seuss books. 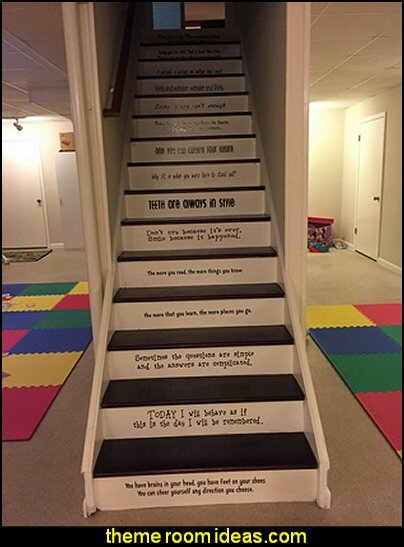 Put it on stairs or put around the walls. 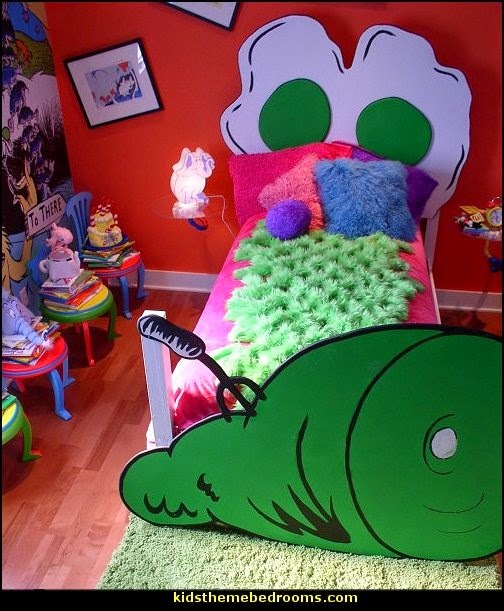 You know you want to.